Thanks to Ernest for the link! Britain is paying hundreds of millions of pounds in hidden costs for a next-generation warplane that will be unable to function properly because of defence cuts, an investigation by The Times has revealed. 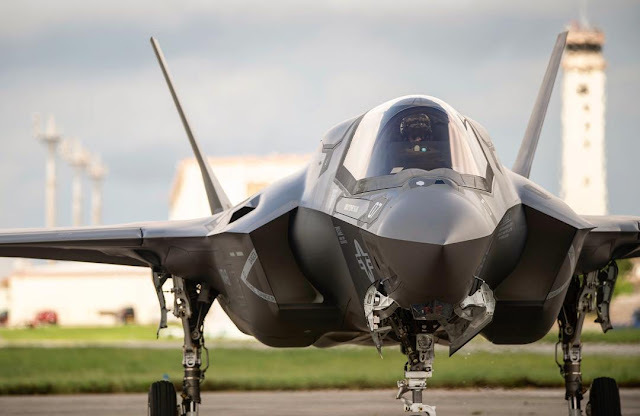 The F-35 Lightning II, the most expensive aircraft of its kind, has been described by Sir Michael Fallon, the defence secretary, as the “most powerful and comprehensive” fast jet in history. Its American manufacturer, Lockheed Martin, has said that the aircraft will cost Britain between £77 million and £100 million each. However, taxpayers face spending more than £150 million for each of the high-tech fighter-bombers delivered this year, analysis suggests. The extras — for items such as software upgrades, spare parts and “cost reduction initiatives” — are buried in US defence contracts and have not been included in the published figures. Military insiders have told of fears about the aircraft, which continues to suffer setbacks described by one former senior officer as “utterly pathetic”. Britain is buying the more costly F-35-B model, which is designed to take off and land vertically. US documents reveal that four already purchased are too heavy to perform this function safely. This must read article is here! Hmm. I wonder. What happens when the US and foreign militaries are left with a stark decision. After more than almost two decades of work, what if they just can't make the damn thing work? Has it reached a point where military leaders worldwide would rather continue the lie than to tell the truth to themselves, their govts and their people? Would they actually risk the security of their nations just to save face? Am I wrong to wonder after all we've seen?